March 3, 2016, 10:11 a.m.
Spanish-language journalism programs are few and far between in the U.S., but CUNY’s is well-positioned right out of the gate. One upcoming challenge: fundraising. 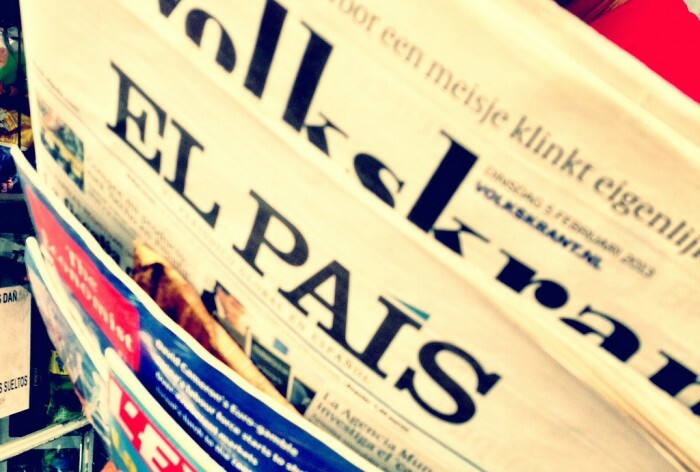 By Shan Wang @shansquared March 3, 2016, 10:11 a.m.
What is the future of Spanish-language media? Graciela Mochkofsky, the newly appointed director of the CUNY Graduate School of Journalism’s new Spanish-language master’s degree program, is hoping its newest students, whoever they might be, can begin to tackle that question. If you think that’s a lot of “new” in one sentence, that’s because the program is barreling ahead at an impressive pace: It was first announced as an initiative within CUNY’s J-school late last September and, this month, began actively recruiting for around 15 students for fall 2016 enrollment (the program runs for three semesters). Mochkofsky, a noted Argentinian journalist and 2009 Nieman Fellow who also writes regularly for American media, was brought on as its director a couple of weeks ago, and the new concentration was officially approved by the New York State Department of Education a week later. Prospective students for CUNY’s program are required to be solidly bilingual, but can come from inside or outside the U.S. They’ll take classes in both Spanish and English, with the core classes around reporting and writing conducted in Spanish. Students will produce Spanish-language assignments. They will take classes elsewhere within CUNY — through its relatively new social journalism program, for instance. Language coaches will work with students to strengthen the weaker of their two languages. A summer internship at a Spanish-language media outlet is mandatory. “I want to create an exciting place where the smartest and most talented people bring their ideas about what to do in Spanish-language journalism, how to transform it, how to create new news outlets, how to overcome walls like the lack of funding, how to attract new audiences, how to do it in a very small scale targeted to a very specific Latino community, or how to do a global enterprise,” she added. CUNY’s program has been touted as the “nation’s first Spanish-language journalism subject concentration to train bilingual master’s degree students interested in covering Hispanic communities in the U.S. or abroad,” meaning that ideally its students will graduate on to Spanish-language news outlets (rather than becoming the token Spanish speakers at English-language outlets). Spanish-language journalism programs in the U.S. are few and far between, and providing the programs has been difficult over the years (the University of Miami’s graduate level Spanish-language journalism program, for instance, is no more). Florida International University also runs a graduate-level journalism program taught entirely in Spanish, founded in 1994. Leonardo Ferreira, a professor at FIU’s school of journalism and mass communication who has been the coordinator for the program, told me it wasn’t easy to get the initiative started. FIU’s program is a mix of theoretical and practical courses. As a public university, the tuition is comparatively reasonable for local students. But the school always seeks funding for scholarships and to send students abroad or to other internships. A Telemundo partnership has been a boon. On the other side of the country, José Luis Benavides of California State University, Northridge, who created the school’s interdisciplinary minor in Spanish-language journalism, is similarly cautious and hopeful at once. Benavides worries about funding as well. CUNY’s program is well-positioned right out of the gate, Mochkofsky said. It already has partnerships with places like the Spanish paper El País; the Argentine media company La Nación (which owns El Diario/La Prensa); Univision; Instituto Cervantes, a Spanish-government funded organization; La Raza in Chicago; and La Opinión in Los Angeles. Mochkofsky hinted at many others forthcoming. 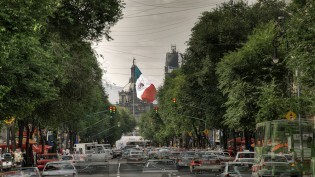 Photo of El Pais by Esther Vargas, used under a Creative Commons license. POSTED March 3, 2016, 10:11 a.m.
Wang, Shan. 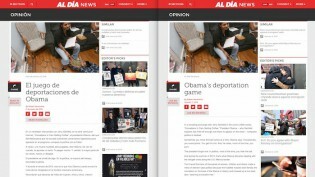 "CUNY’s new Spanish-language journalism program, with big ambitions, opens for applications." Nieman Journalism Lab. Nieman Foundation for Journalism at Harvard, 3 Mar. 2016. Web. 18 Apr. 2019. Wang, Shan. "CUNY’s new Spanish-language journalism program, with big ambitions, opens for applications." Nieman Journalism Lab. Last modified March 3, 2016. Accessed April 18, 2019. https://www.niemanlab.org/2016/03/cunys-new-spanish-language-journalism-program-with-big-ambitions-opens-for-applications/.